Find My Workspace lists over 95% of the serviced offices market in Rosebery (Sydney). Simply click Request Quote to check pricing for one office, or Add to Basket for multiple offices. 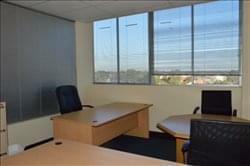 This well-equipped office space comes fully equipped with high quality furnishings and fittings throughout. Private offices are available for 1-3 persons on flexible terms that suit your business. There is a kitchen area with a coffee machine, fridge, microwave and filtered water. External offers feature large windows providing great views of the surrounding area. 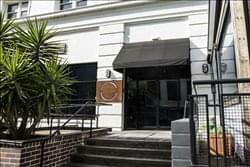 Enjoy 24 hour access to this centre, enabling you to work at times which suit best. Members of the space can enjoy access to meeting rooms, training rooms and conferencing facilities. Bicycle racks are also available for members commuting via bike. Co-working space for creatives. Providing premium office suites, open plan desks, a meeting room, a photography studio and event space for hire. Be a part of a collaborative community to help your business grow in a dynamic and stylish environment. All members have 24/7 access to the office along with a high speed internet connection, a printer, kitchen facilities and a break out area, air conditioning, an office mailing address and refreshments. There are member discounts available for use of the studio and event space with discounted rates to surrounding café and gyms to use. This workspace has flexible options that can be tailored to your needs. A centre that likes to curate relationships between it’s members to ensure a strong community spirit and to create an innovative and collaborative working environment. To obtain information for your selected Rosebery (Sydney) Serviced Offices, please tick the "Add to basket" box for each office you prefer and complete the form below. We will then send a detailed report via email.